Since I left you, I have been constantly depressed. My happiness is to be near you. Incessantly I live over in my memory your caresses, your tears, your affectionate solicitude. 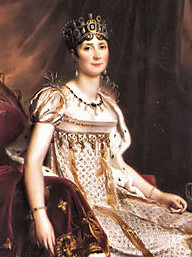 Joséphine de Beauharnais was a widow and mistress to several prominent political figures in France until she met Napoléon Bonaparte in 1795 and their love affair began. 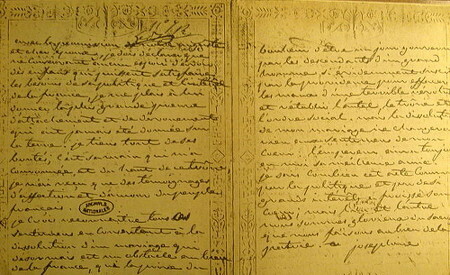 Napoléon showered Joséphine with letters full of love and ardor, frequently complaining when she did not write him in return. To satisfy Joséphine’s taste for luxury, Napoléon also presented her with costly jewelry acquired as spoils from his military campaigns. Although Napoléon and Joséphine were married for 13 tempestuous years, Napoléon’s passion burnt itself out long before they separated. Some contend the rift was due to her prodigious spending and flagrant promiscuity. Others believe the reason Napoléon divorced her was because she failed to produce an heir. Just before the divorce, Joséphine sat for a portrait by Jean-Baptiste Isabey, a painter the couple frequently patronized. According to Finlay (2006), when the artist asked the empress what jewels she wanted to wear in the picture, she replied, “Paint me in emeralds, I want them to represent the underlying freshness of my grief.” By making this statement, Joséphine was referring to an old English custom in which women abandoned by their husbands wore green to show they had been forsaken. Despite this proscription against all things green, emeralds were featured in engagement rings of Joséphine’s day. Some believed emeralds were a natural choice given their ancient association with love, hope, and desire. 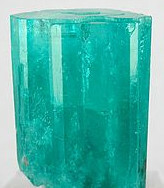 The Emerald is a most beautiful stone, powerful for all kinds of watery divination. It influences every kind of business, and if you remain chaste while you wear it, it adds substance to both the body and the speech. In antiquity, emeralds were associated with Venus, the Roman goddess of love. 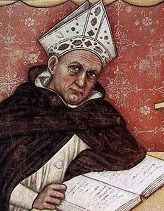 However, they typically symbolized virginity, chaste love, and newfound desire, not sexual passion in full bloom. And—more significant for Napoléon and Joséphine perhaps—when worn, emeralds were believed to change color when a lover was unfaithful. Perhaps this explains why emerald is reserved for the 55th wedding anniversary, although it is occasionally gifted on the 20th and 35th anniversaries as well.